"It was actually an 11 out of 10!!" Come and join us for "the glide of your life"! An amazing experience that is ideal for the whole family. Grandparents, too! Book for the Canada Wood trail now - New for 2019! Welcome to the home of The Scottish Segway Centre! 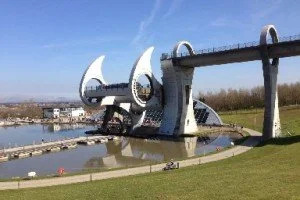 We have two sites based in the heart of central Scotland on the site of the iconic Falkirk Wheel, Scotland’s engineering wonder and the only rotating boat lift of its kind in the world and new for 2019 at Canada Wood, a five minute drive from the town centre situated in the rural country side of Falkirk. Our new site boasts beautiful panoramic views towards the Ochil hills and Falkirk’s main tourist attractions The Falkirk Wheel, Callendar House and Helix Park are all a short drive away.. We have a sister site in Glencoe, the outdoor capital of the UK! We are an independent firm, dedicated to providing fun, adventure and an experience like no other for people aged 7 -100*. 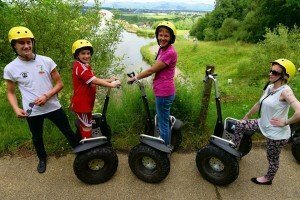 We provide exciting off-road guided Segway tours around some of the best sites in Scotland. Our expert guides will take you through the basic manoeuvres and steer you through winding woodland paths and off-road tracks to discover breathtaking views and historic scenery including the remains of a UNESCO World Heritage, Rough Castle, an ancient Roman Fortress. We cater for individuals, families, groups of friends, birthdays, stag or hen parties, corporate groups and provide a memorable gift, check out our gift vouchers page! 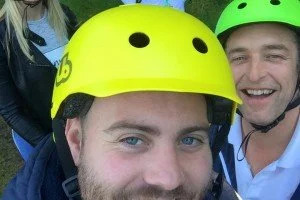 Segway truly is an unforgettable experience. Generally our customers are all novices (excluding the odd few!!) So don’t be shy, we’re here to help provide one of the most unusual, exhilarating and fun filled activities around.